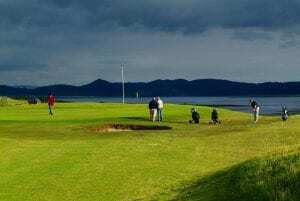 This remarkable, challenging, links golfs course situated right on Strandhill Beach is one that has golf enthusiasts travel far and wide to play. Describes as a “hidden gem” by many of its players it is an immensely enjoyable course in excellent condition and the clubhouse serves beautiful food with a great atmosphere to top it all off. Play one of the most beautiful courses on the wild Atlantic coast.